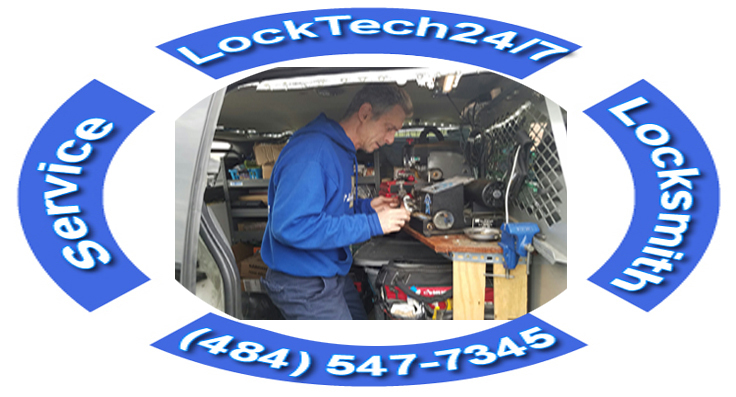 When you search for a locksmith near me 24-7, you find the fastest locksmiths in the Lehigh Valley PA, which is LockTech24/7. With this in mind, we offer 20 minutes response time anywhere in the Lehigh Vale. This includes Easton, Bethlehem, and Allentown, as well as any other city, town, or village in the Lehigh Valley. Yes, we are near you whenever you need a fast mobile locksmith service. In like manner, we would be with you before you look at your watch once again after calling us. In short, our locksmiths near you 24-7, day or night, weekdays or holidays. As you already know, we’re available 24 hours a day, seven days a week. Even so, our rates are the same, whether you call us early morning or late at night. Allentown PA, a big metropolitan city in the Lehigh Valley with highways, parks, and places of entertainment. If you live in a busy district of Allentown PA, you know how stressful is a routine day. For instance; think how busy is Hamilton St of Allentown PA.
LockTech24/7 technicians serve the entire Allentown area. This includes all zip codes off Allentown, such as; PA: 18101, PA: 18102, PA: 18103, PA: 18104, PA: 18105, and PA: 18106. This means; if you lock yourself out of your car or lost your car key in Dorney Park, we are here to help. Yes, we are ready for any lock & key service, not just in Allentown, but the entire Lehigh Valley, PA. This includes Hellertown, and Quakertown, as well as from Kutztown to Kunkletown. We literally cover the entire Lehigh Valley and beyond. You should call us wherever you are and whatever is your lock and key needs in Allentown and the surrounding area. A mobile locksmith in the Steel City of Bethlehem PA, a powerful figure of excellence and productivity. That is to say, Bethlehem is another metropolitan city in the Lehigh Valley. However, a busy moment can get you, either, locked out of your car, or losing your car key. Our 24/7 emergency locksmiths are literally available at all time. 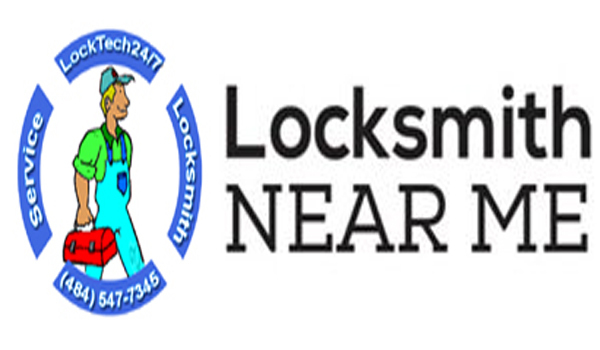 Don’t hesitate to call LockTech24/7 and receive fast & reliable locksmith services. Whether you need a locksmith in Freemansburg, or maybe in Fountain Hill, we cover the entire Bethlehem area. This includes locksmith in zip codes; PA: 18020, PA: 18015, PA: 18016, PA: 18017, as well as a locksmith in Bethlehem, PA: 18018. At the day you need locksmith service and you call LockTech24/7, you know it is a long term relationship in regard to locking and key problems. With this intention, we aim for a 100% customer satisfaction when we service our customers. Whether you need a residential locksmith in Bethlehem or commercial locksmith in Freemansburg, we’re here to help. Yes, we are only one phone call away. So why to keep wasting your time for a solution that doesn’t work? We are simply one phone call away, and 20 minutes to get you back on your day. Let our professional lock and key experts to deal with your lock and key problems. Easton, the beautiful city eastern of the Lehigh Valley PA on the border of Phillipsburg, New Jersey. With this in mind, Easton offers many places for hiking, biking, and social activity. As we all know, a lockout disaster can happen when you enjoy nature, not to mention also losing your car key. This is where LockTech24/7 technician can step in. Regardless of nature and fun, we can also help home and business owners who need our lock and key services. This includes re-keying locks, as well as repairing or replacing locks. Furthermore, we can also help with electronic locks or any other security system in your property. It doesn’t matter where are you located around Easton. Whether you are in Wilson, Palmer, or Fork Twp, our locksmith can be there with you in 15-20 minutes. If you need a mobile lock&key shop, we are the mobile key makers to call. We serve Easton on a daily basis, so when you call us for service, we can arrive quickly to your location and immediately work to solve your lock&key needs. We are your key and lock specialists whenever and wherever you need us in the Lehigh Valley. As we are mobile and we serve the entire Lehigh Valley, it doesn’t really matter where you are waiting, we can reach to you in a very short time. We drive a working van fully equipped with all tools and key cutting and programming machines in order to get you back on your day as soon as possible. As you can see above, we are local locksmiths to Easton, Bethlehem, and Allentown in particular, as well as to the Lehigh Valley in general. That means we can arrive at your location in a short time frame, saving your time money, and your day. When you need a locksmith, especially an emergency locksmith, you want to deal with a local locksmith in your area. This is the reason why we recommend not to call a dispatch center or a nationwide locksmith company who hired subcontractors, unprofessional locksmiths. Instead of dealing with shady locksmith companies, simply call us and we will come to help immediately. We guarantee that!